It's Makers' Monday and I'm happy to report that I am feeling Much better! I have absolutely no stamina and my voice has that raspy sound like I routinely smoke three packs of cigarettes every hour but... I feel better! I can smell the Vicks, the scabs on my nose from blowing/wiping it so frequently are healing and I feel good. Yay! And because I'm feeling so much better, I had a low-key, weirdly fun weekend. The fun started on Friday when Sarah and I went to the Southern Women's Show. 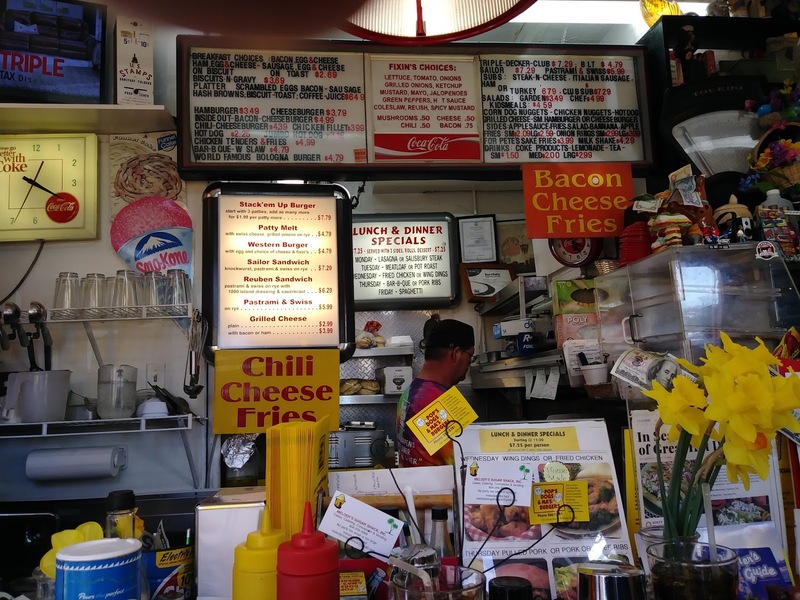 After the show, we stopped for a late lunch at Pop's Dogs and Ma's Burgers. It's one of those local landmark places that I've always been curious about but never visited. I have absolutely no idea why, but as a teen/young adult, I always thought of the place as being where the perverts hung out. I pictured the interior as being dark and smokey and full of perverted old men, most likely without pants. 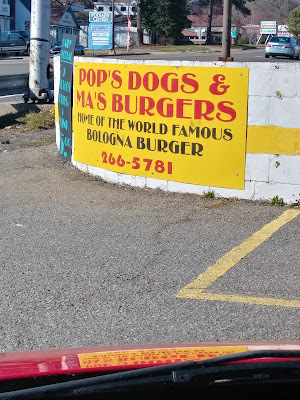 But when we asked Google where we should go eat, Pop's Dogs and Ma's Burgers popped up as an option. We decided to be brave it and give it a try. I'm so glad we did! The place turned out to be THE quirkiest, weirdest place I've ever eaten. And I'm a little bit in love with it. The place (I really can't call it a restaurant. It only has six seats.) is tiny and every inch is crammed with memorabilia and little oddities to look at and/or play with. 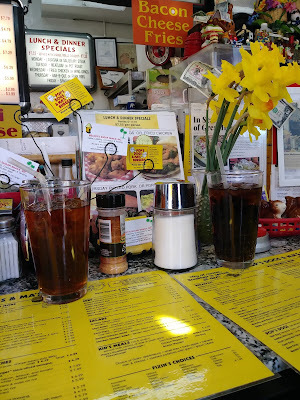 Honestly, I was a little skeptical stepping in but the food was good, the conversation with Ma, Pa and the other patrons was fun and interesting and we had a great time. No perverts in sight and I'll definitely go back again sometime. 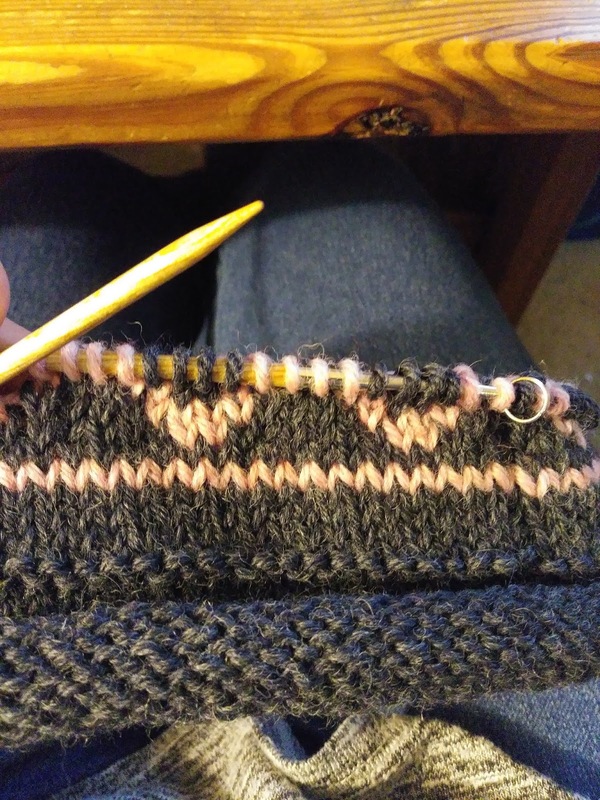 Friday night, I started hat #16 in anticipation of a Saturday road trip to celebrate my last free weekend of 2018. Mike and I planned to drive to Colonial Beach and eat a meal on the water. Not a big trip, I just needed to see flowing water before I went back to work for the season. Well, Saturday was cold and a little rainy and Mike didn't want to make the trip. Fine! I'd go without him. Big mistake! I thought I knew where I was going but doh! I turned onto the wrong road and ended up on a river 137 miles south of Colonial Beach. Good Lord! I've always said I could get lost in a phone booth, but ... 137 miles off course! Good grief! But it turned out okay. So what if I didn't see Colonial Beach. I saw a beach. I saw flowing water. I had good music to listen to and my weight in junk food to eat while I drove. I found my way home eventually and Little Red and I had a fun road trip adventure. And since I didn't actually make it to Colonial Beach on Saturday, Mike drove me on Sunday. I got a little bit of car knitting on my diagonal striped blanket done, but mostly I just looked out the window at the passing scenery. Of course, I drove all that way, on two different days, and never took the first photo of the water. Oops. So what did you create over the weekend? Getting lost was fun. Shamefully, it was the first time I'd taken the car out for a pure joy ride with no real destination in mind since I got it back in the fall. It was about time! 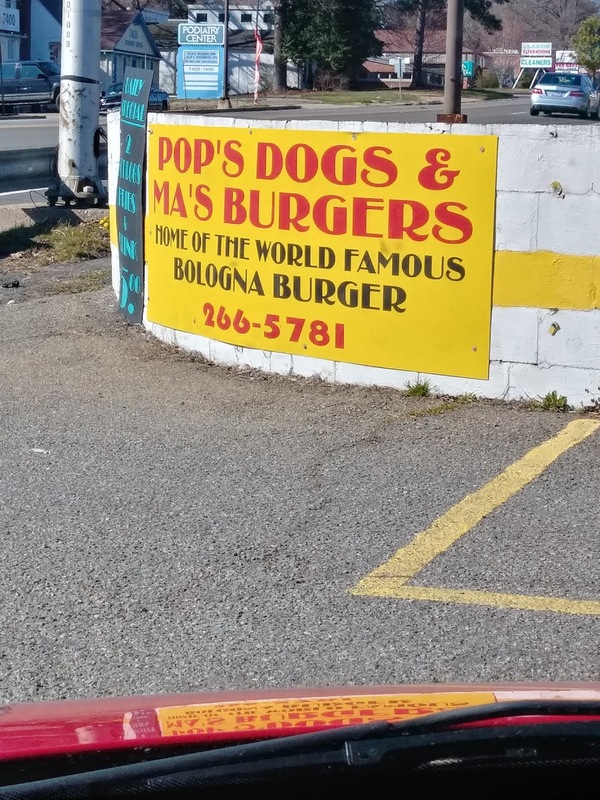 That sounds like a fun place to eat! And visiting the beach, no matter which beach, is always great! I've also been trying to work out a set up for a bullet journal, but I'm still not sure I'm really going to try it. I love the concept of bullet journaling but I tend to plan to far in advance and I write loooong lists that I end up having to copy over into the next journal... It's easier for me to use a 3-ring notebook type planner. Your weekend was full of adventure. I wasn't adventurous but I prepared two quilt backs and the binding, finished a sock and started another, and made four doll quilts. Wow! You may not have been adventurous but you were certainly productive! Congrats! Good to know everyone kept their pants on at the hot dog shop. What an adventurous weekend you had. 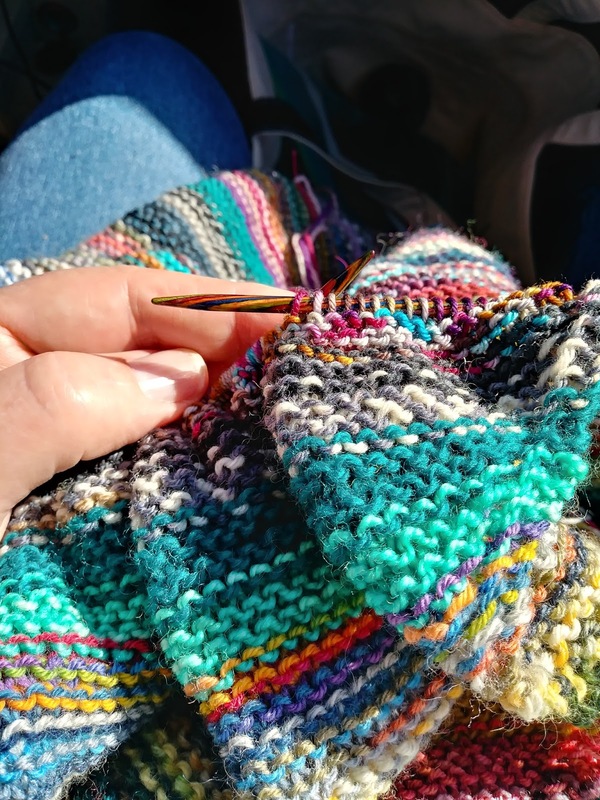 I love going to see the flowing water and it doesn't have to be a lot of water ---- I found a picnic table by the Neshaminy Creek and when the temperature is a little bit nicer, I will be taking my lunch and my knitting to watch the water flow. We have a park near us with a small, 8 foot wide 'river' that I like to hike to then sit and read/knit. You gave me a good laugh! 137 miles is an accomplishment -- and totally worth it if you found water. I absolutely love road trips by myself. but I wouldn't have minded. 1200+ miles with out a picture.